The colonial house of Ben Thuy looks like it hasn’t changed a bit since the 19th century. After checking out the property and its garden of orchids, we walked toward the river along the entertaining street of Bui Huu Nghia. 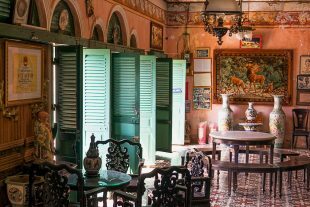 Two of Saigon’s most picturesque colonial buildings are found right next to each other, in the center of the city. 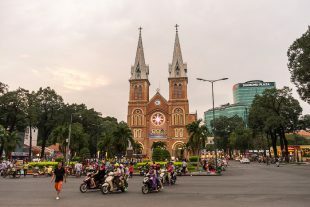 The Central Post Office (Bưu điện) and the Notre-Dame Cathedral were constructed by the French in the late 19th century, and a visit to both is obligatory during any tour of Saigon.